Norvestor is one of the most established and experienced private equity Firms in the Nordic region. Our track record dates back to 1993 when the current team made its first investments. Funds advised by the Firm have made 71 buyout investments. Investments are currently made from Norvestor VII, L.P., a NOK 5,300 million (€ 600 million) fund established in 2016. Xllnc is a leading supplier of IT lifecycle management solutions for large corporations in the Nordics. Wellit is a software company that makes logistics easier for the oil and gas industry. Stamina/Avonova is the largest provider of occupational health services in the Nordics. NoA delivers advertising, communication, design and technology solutions in the Nordics and beyond. Sperre supplies compressor systems and aftermarket services to the oil and gas and maritime sectors. Wexus provides modular buildings to the infrastructure, utilities and industrial industries. NetNordic, a leading system integrator, serves the communication, networks and security sectors. IT Gården is a leading IT services outsourcing provider to SMEs in the Skåne region. READ serves the production logging and integrity evaluation segment of the oil services industry. 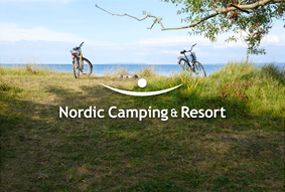 Nordic Camping & Resort, Sweden’s largest camping site operator, operates 26 camping sites. Presserv specialises in preservation and corrosion protection in the oil, gas and shipping sectors. Eneas is a leading independent energy intermediary for SMEs in the Nordic electricity market. HydraWell is a well integrity specialist, servicing oilfield operators and services integrators. 4Service is a Norwegian provider of contract catering and soft facility management services. Permascand is a globally leading electrochemical process technology company based in Sweden. Roadworks serves the Norwegian road infrastructure operations and maintenance market. PG deliver and support integrated pumping and flow solutions across Energy & Marine industries. Nomor is the second largest pest control company in Sweden, and operates nationwide and in Norway. FP supplies innovative solutions and equipment to the onshore and offshore energy industry. iSurvey is an offshore surveyor and project management specialist in the energy and marine sector. Robust manufactures security and fire steel doors in Sweden- and UK-based production facilities. Marine Aluminium supplies access solutions to offshore, marine, and onshore clients. 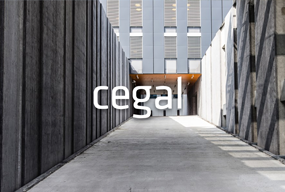 Cegal Group provides IT and geoscience services to the global Oil and Gas industry. Aptilo is a leading provider of WiFi solutions to mobile network operators and enterprise customers. Apsis provides SaaS solutions for marketing automation, ecommerce, segmentation and email marketing. Sentech Group is the leading provider of specialist sensor technology to the oil and gas industry. Johnson Metall is a leader in the Nordic market for bronze-alloy plain bearings and machine parts. Crayon provided software asset management, cloud and volume licensing and related services. Life became the largest chain in the Nordics for health and wellness products and operated 380 stores. 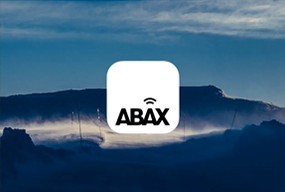 Abax became a leading Nordic provider of corporate car fleet control products and solutions. Phonero, a Norwegian telecom services provider, served the Norwegian SME and public sector markets. 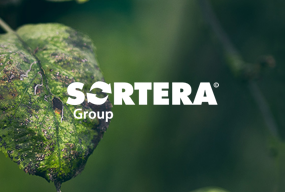 Sortera, a leading provider of building waste solutions, specialised in heavy-duty builder bags. Advantec become a leading provider of subsea intervention equipment and associated services. Oslo-based Panorama became a leading provider of jewellery and silverware in Norway. Wema became a leading provider of sensors to the heavy truck and commercial vehicles market. Nordic Vision Clinics became a leading provider of refractive surgery in the Nordic countries. Norway-based RenoNorden became the leading household waste collection company in the Nordics. ELIXIA became the largest provider of upscale fitness clubs in Norway and Finland. eTRAVELI became the leading Nordic online travel platform for flights, hotels and related services. Fund III invested in Secode in March 2001. The company was sold to NTT Communications Corporation in August 2010. Intelecom provided business-critical communication solutions to the Norwegian market. SCAN became a global seismic data acquisition company servicing the oil and gas industry. Fund II invested in Wega in February 2000. The company was listed on the OTC list in Oslo and was exited in March 2007. Fund II invested in Component Software in July 1999. The company was fully exited in 2007. Fund II invested in Sonans in April 1999. The company was exited in June 2007 through a secondary sale. Fund I invested in MMC Tendos in December 1997. The company was exited in June 2007 through a secondary sale. Fund I invested in Synnøve Finden in June 1996. The company was fully exited through a secondary sale in June 2007. Fund I invested in EFD in June 1994. The company was fully exited through a secondary sale in June 2007. Fund I invested in OHI ASA in December 1997. The company was exited in June 2007 through a secondary sale. Fund I invested in AKVAsmart in December 1997. The company was exited in June 2007 through a secondary sale. Fund I invested in Odim in December 2002. The company was fully exited in February 2006. Fund I invested in Trema in July 1997. The company was sold to Wall Street Systems in June 2006. Fund II invested in Scribona in October 1999. The company shares were sold in bloc sale in June 2005. Fund I invested in Bjørge in November 1997. The company was fully exited in September 2005. Fund II invested in Point International in June 1998. The company was fully exited in April 2003. Fund I invested in Voice in May 1995. The company was exited in September 2003 to N.O. Sunde AS. Fund I invested in Scanpesca in October 1996. The company was exited in 2002. Fund I invested in First Services in June 1997. The company was fully exited in September 2001. Fund I invested in Webcenter Unique in May 1997. The company was fully exited in December 2001. Fund I invested in Plantasjen in February 1998. The company was sold to a private investor in June 2000. Fund I invested in Aalesundfisk in October 1996. The Fund's shares in the Company were sold in June 2000. Fund I invested in CorrOcean in December 1994. The company was fully exited in March 2000. Fund I invested in EDB in July 1995. The company was fully exited in June 1999 after a listing on the Oslo Stock Exchange. Fund I invested in Petropark in June 1995. The company was sold to a local investor in March 1999. Fund I invested in Pan Fish in November 1995. The company was fully exited in July 1999. Fund I invested in Kvatro Telecom in October 1995. The company was sold to Tieto Enator in May 1998. Fund I invested in Merkantildata in June 1995. The company was fully exited in August 1998. Fund I invested in Selmer in February 1994. The company was fully exited in March 1998 after a listing on the Oslo Stock Exchange. Fund I invested in Prepan in April 1997. The company was sold to a family owned industry group in December 1997. Fund I invested in Elkjøp in November 1993. The company was fully exited in May 1997 after a listing on the Oslo Stock Exchange. Fund I invested in Falken in November 1995. The company was sold to the Danish Falck group in October 1996. Fund I invested in Skeidar in August 1995. The company was fully exited in September 1996.